Remember one crucial thing:The past is the past. Yesterday no longer exists. Today is the reality of you. 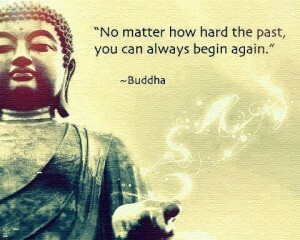 So if you hit a barrier yesterday look at today and start again. Getting up after a fall is the test of your inner fortitude. Succeeding in the face of adversity is the goal. Our lives are ours to create, ours to design, ours to live. So do not dwell on your past but instead live for your present and you’ll quickly see how those barriers begin the fall away. Take one action today that will change the life of someone else even if just by a little. Say hello to a stranger, hold the door for someone, smile. By helping others we are defining our humanity, we are writing our futures.